Several celebrities from TV and movies as well as singers are participating in the Celebrity reading if the Grinch Who Stole Christmas at Universal Studios in California. There are no meet and greets or photo ops with the celebs. it will still be a special treat to hear this classic read by your favorite celeb. If you plan on going to Universal Studios, you can use thus guide to plan which day to go!! Here us the schedule for December 2011. You need to buy a ticket to the park to be able to watch these readings and the special live show that follows. If you miss your favorite celeb, check on You Tube the next day maybe a fan posted it. 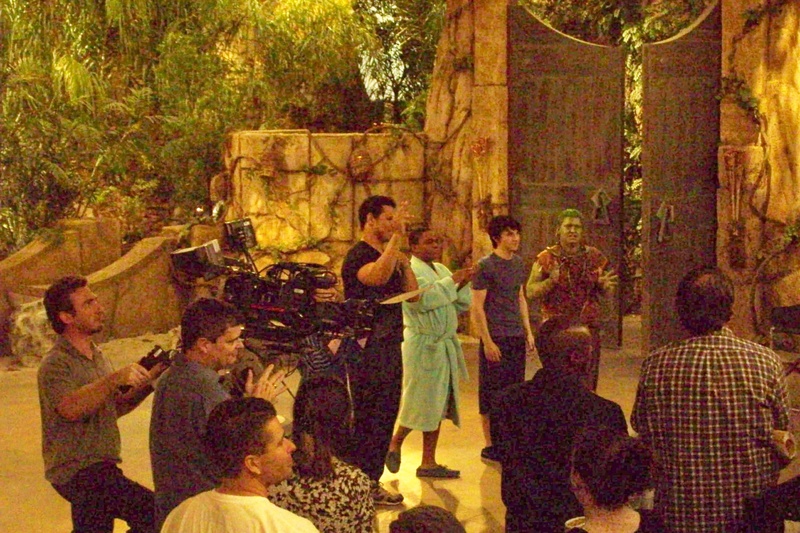 Pair of Kings Meeting the Cast and Going to Tapings! On September 10, 2010 Pair of Kings premiered on Disney XD. The series is about a pair of twins from Chicago named Brady (Mitchel Musso)and Boomer( Doc Shaw). The discover that they are actually kings of a mysterious Polynesian island named Kinkow. The boys were being raised by their aunt and uncle and didn’t know they were kings until the Royal Advisor, Mason (Geno Segers) arrives to bring the boys to take the throne. 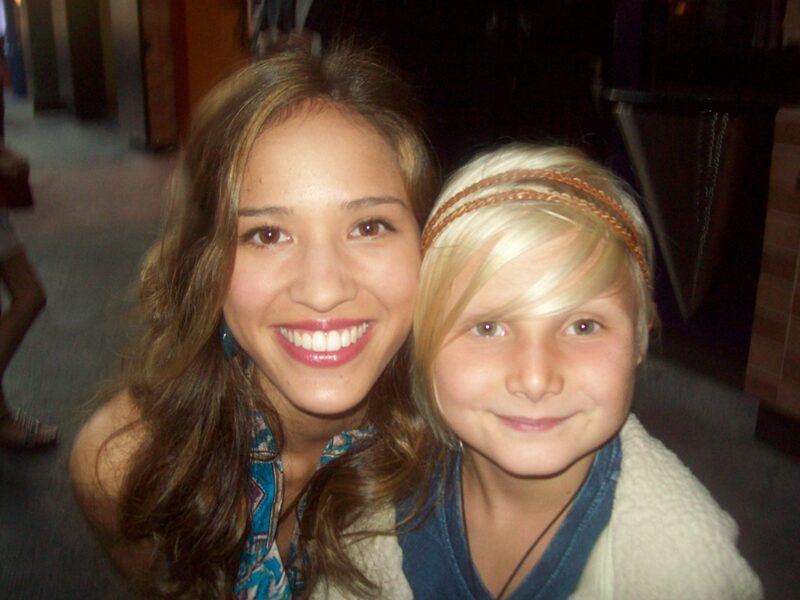 Mason has a beautiful daughter, Mikayla (Kelsey Chow). Brady has a crush on her and goes through a lot of effort to show her his love. 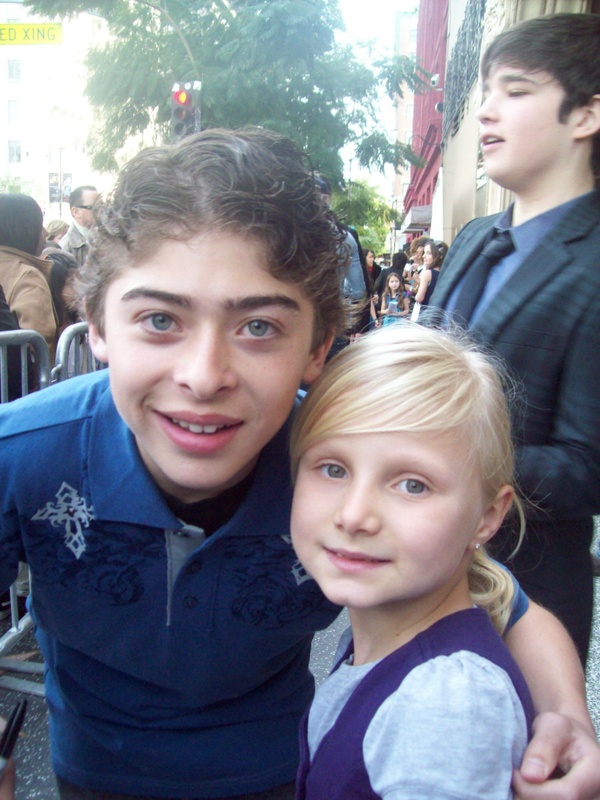 The kings have a cousin, Lanny (Ryan Ochoa) who is always plotting to take the throne away from the kings. The island of Kinkow is magical which allows the writer to come up with all kinds of customs, traditions and magical creatures and curses. There have been mummies, mermaids, Tarantula people, huge insects, a giant bird and quicksand. Brady is a bit of ladies man. He has a huge crush and Mikayla and even convinces Boomer to go back to high school in order to be with her! He gets a little lazy and really enjoys all the benefits of being a king! 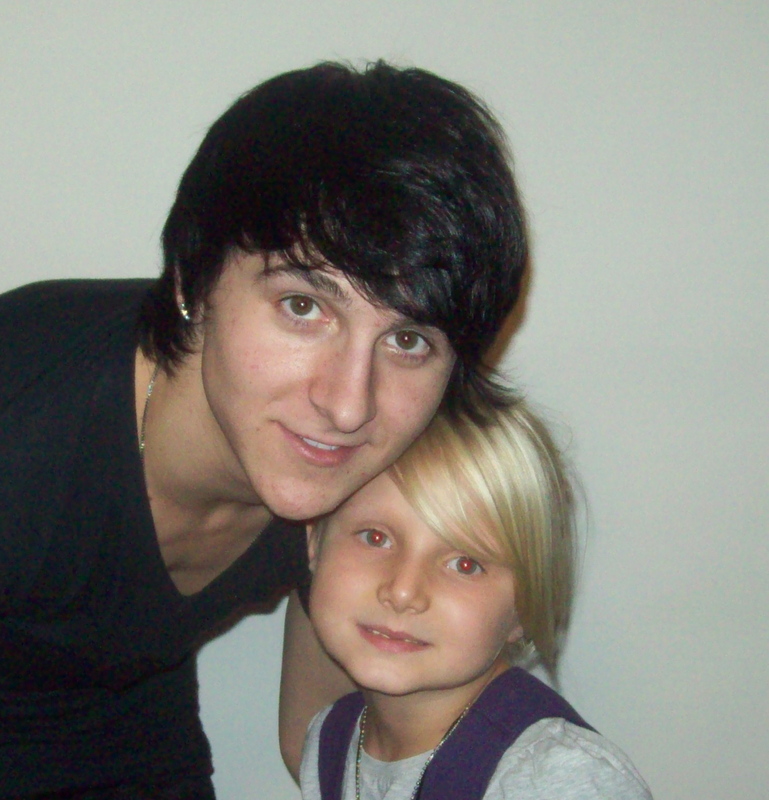 Mitchel is best known for his role as Oliver in Hannah Montana. He also plays Jeremy on Phineas and Ferb. He also had a role in Monster House. Mitchel is also a great singer and has his own Cds. He has had concerts. His brother Mason is also a singer. Mitchel and Doc sing the Pair of Kings theme song called Top of the World. Boomer is little silly and really likes Beyonce and goofing off. 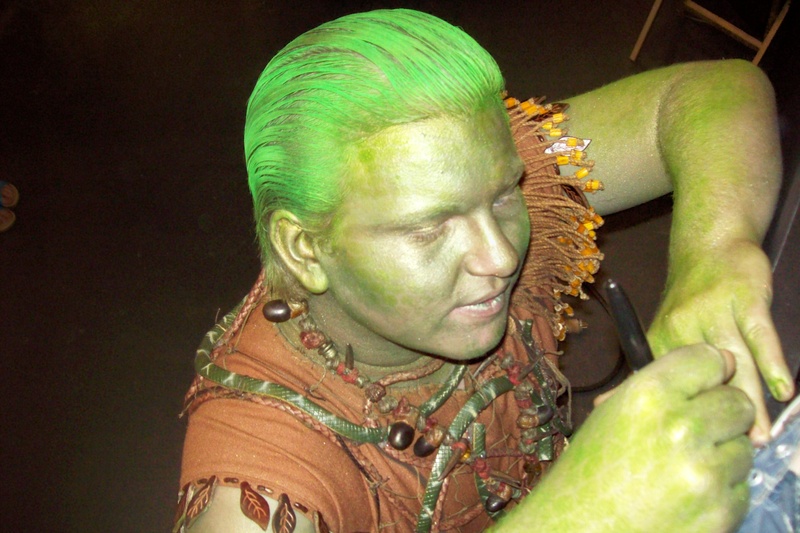 In one episode he was getting tricked by Oogie played by Doug Brochu. He isn’t as smart and careful as Brady. 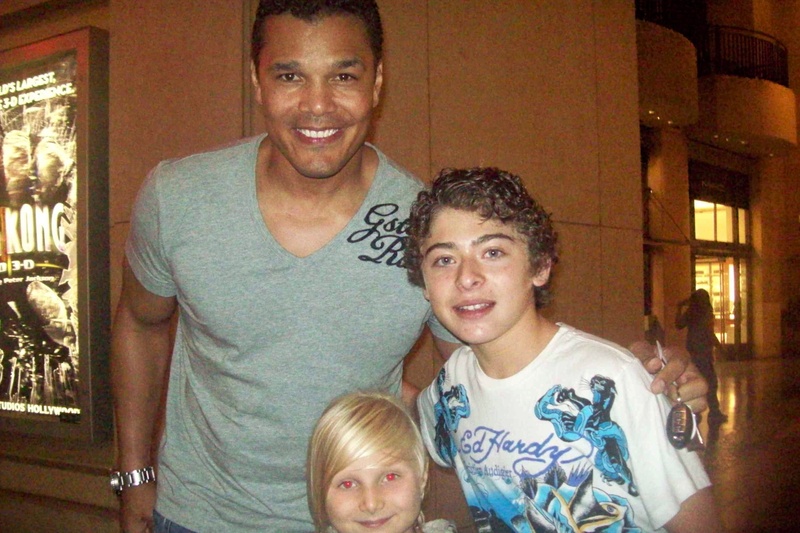 Doc Shaw starred on Tyler Perry’s House of Payne and also was Marcus Little on Suite Life on Deck. Doc left SLOD so he could co star on Pair of Kings. Lanny is the Kings’ little cousin. If any thing ever happened to the kings, Lanny would be the new king of Kinkow. He is always thinking of ways to get the kings hurt or killed. He always tricks them to get them into dangerous situations. Somehow, no one realized how evil Lanny really is. They still trust him and listen to what he says. Lanny has a pet fish who helps him come up with ways to get rid of the kings! Ryan is a really busy actor! You may recognize him from iCarly. He played Chuck, a little boy Carly tutored who was really mean to Spencer. Ryan was also Tiny Tim in The Christmas Carol, Rick in Astro Boy, and Deuce on Zeke and Luther. He co-starred with Jake T. Austin and Moises Arias in the Perfect Game. He played Norberto. Ryan has tons of friends who are also actors and actresses in Hollywood. He has a great family with a loving mother and father. His two brothers, Robert and Raymond often come to events with Ryan. Ryan loves to support friends and charities. We’ve met him several times and he’s one of the nicest celebrities you will ever meet! Mason is very protective of his daughter Mikayla. If any boy wants to ask her out he has to deal with Mason. Mason is very strong, has a deep voice and is very good with a machete. He often has to explain the dangers of the island to the kings and sometimes has to rescue them. In one episode Mason got addicted to playing video games. He was playing so much, he broke a lot of bones and had to come to curtain call in a full body cast rolled in on a dolly! 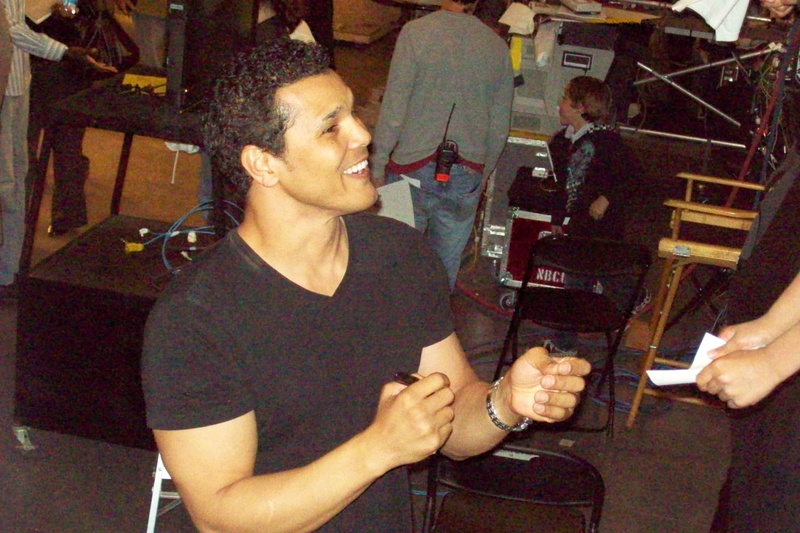 Geno Segers played football and Rugby in New Zealand. He played Mufasa on Broadway and is a very nice man. We’ve met him a few times and the voice you hear him use as Mason is his real voice. He moved to LA to be Mason. When he had just moved here, his bike got stolen. He loves his fans and will reply to you on Twitter. He also has his own website that he keeps up to date. Mikalya is very sweet and patiently explains the ways of the island to the twins. Brady has a crush on her and she tries to let him know she’s not interested. Kelsey has been in One Tree Hill and Den Brother. We met her at tapings and at the Teen Choice Awards. She is very nice and does not have Twitter. every so often someone tries to pose as her. If Mitchel, Doc and Geno aren’t following her don’t believe it ‘s her real Twitter account. The show has had a few guest stars. Doug played Oogie and Brady thought he was going to feed Boomer to his people. 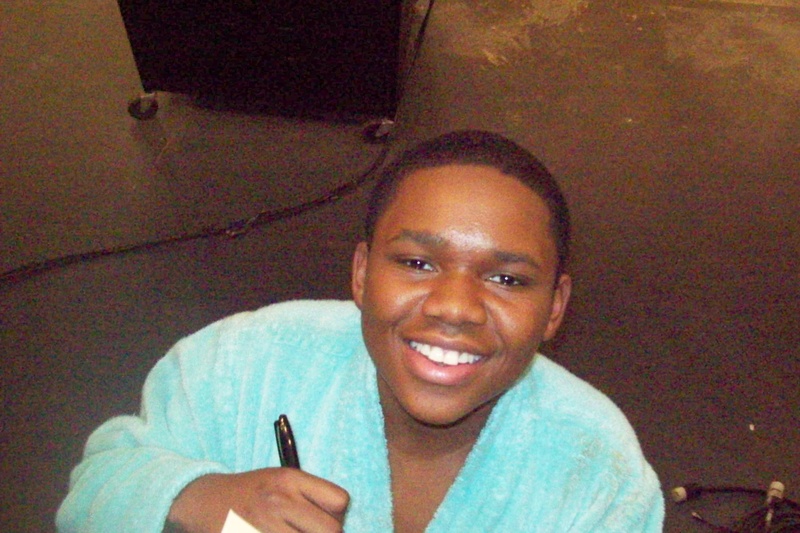 Davis Cleveland was a guest star on the episode called Big Kings on Campus. He starred as a little Meercat named Chauncey. Geno and Ryan like to attend premieres. When they see their fans, they are very nice and will stop for a quick pic and autograph! I hope you enjoyed our blog! My mom and I work hard on them. I’ve met stars from all the Disney and Nick Shows. I try to help you meet them too! Tanacon a timeline of how a great idea became a nightmare.